Geraldton is a port city about 6 hours north of Perth; it’s long been a favourite with windsurfers due to the consistent wind conditions during the summer season. Now kiters are starting to venture North and enjoy the strong winds and amazing waves that grace this stretch of coastline. With plenty of places to kite in the area you’ll never get bored, remember to pack a small kite, because up north the sea breeze is a lot stronger than in Perth, pack a 5 or 6m kite if you want to make the most of the conditions here! From the end of November until the beginning of March the famous sea breeze buffets the coastline with relentless abandon. Most days will be 7m weather, and the wind gets stronger as the day progresses. When it gets wild, you can get 50knot winds here, and most of the vegetation is either short or busy growing sideways as a result! The temperatures are warm during the summer months, although the wind can make it feel a lot cooler. Expect to wear a shortie wetsuit or rash vest and always put plenty of cream on, Factor 50 is a minimum if you plan to stay on the water for any period, it is also worth coming in and reapplying suncream every 90 minutes or so. The sun is fierce; you have been warned! As with any trip to Australia, we would recommend getting a car. 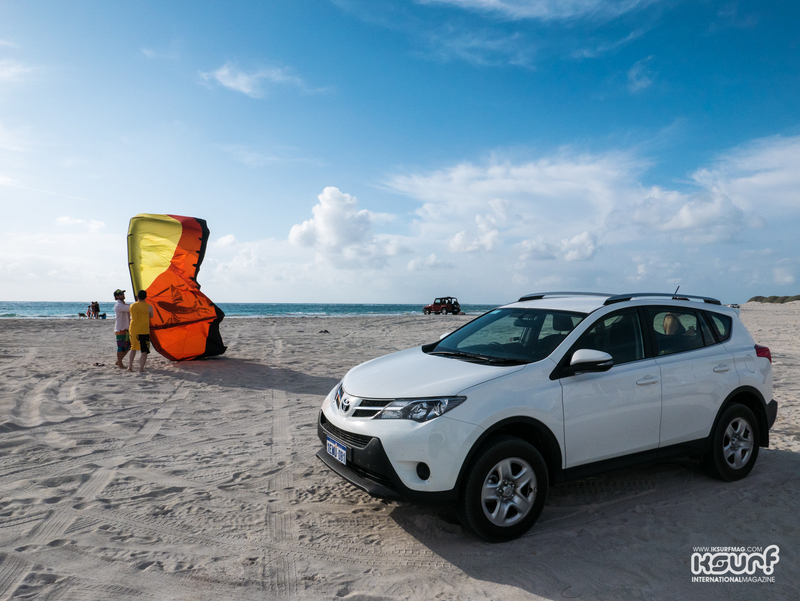 If you can stump for a small SUV or 4x4, then you’ll not only be able to explore, but also drive on the beach and kitesurf right out of your boot whenever the conditions look good. There isn’t much in the way of public transport up here so budget for the hire car when you plan your trip. If you go out in the evening to be sure to take a taxi if you plan on having a drink at the local police are hot on drink driving. Geraldton Downtown has a few bars and restaurants that are worth a visit, but mostly it's all about having a BBQ on the beach! The best places to head to are Tides of Geraldton, which has a varied selection and serves great fish. If you fancy something a little more basic, then check out L’Italiano for great pizza and pasta. While Geraldton is a city, London or Sydney, it is not, you won’t find superstar DJ’s playing at all-night raves here, but there are some good bars and pubs all the same! For a beer watching the sunset head to L’Attitude 28 on Chapman Road and if you fancy something a bit rough and ready the Camel Bar usually delivers! The Geraldton Hotel is also worth a visit for a bit of history, built in 1860 it is one of the oldest places in town! Go for a drive along one of the many beaches, go for a surf or SUP at the numerous waves in the area, or perhaps take a tour around the Western Australian Museum or visit the HMAS Sydney II Memorial on top of the hill above the town! Australia is slowly catching up with the rest of the world on the Internet front; you’ll find most cafes and bars have free wi-fi. We found the fastest connection at McDonald's and it is free, they do some fantastic gourmet burgers over there too. Amazingly the Sunset Beach Holiday Park where we stayed had wi-fi too, sadly they limit you to 300mb per day, and it costs around 20AUD for a week pass. The Internet is expensive in Australia full stop; they charge a lot for data so while you may have a fast connection you may also have restrictions. There are loads of accommodation options in Geraldton, from smart apartments overlooking the marina to campsites and, of course, backpackers! We stayed at the Sunset Beach Holiday Park, which is a favourite haunt for many of the travelling kitesurfers and windsurfers. You can kite right out the front at Sunset Beach, and it is only 21km away from Coronation Beach which is one of the best spots in the area. You’ll find a supermarket and bottle shop a stone-throw from the park, as well as pizza and fish and chips too. It’s a short drive from here through town to the other spots, and the sunsets are amazing. We recommend this as one of the bests places to stay; you can rent a chalet, or pitch a tent or sleep in your camper, it is up to you! The Kangaroo Bouncer at Sunset Beach Holiday Park, it is immense! GSpot Extreme, the local kite shop! Learning to kite at Point Moore! The dunes at Sunset Beach. Kiters on the left, windsurfers on the right at Coronation Beach! This was about the size of my hand, they hang out at the look out above Coronation Beach! Checking the conditions at Coronation Beach! Been to Geraldton? What did you think? Where are the Best Kitesurfing Beaches in Geraldton? 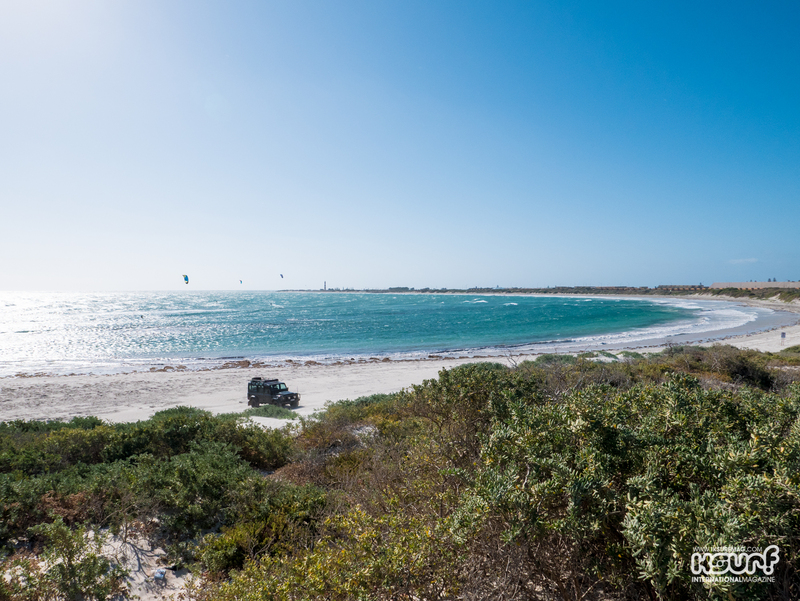 This iconic spot is where it all started for Geraldton, in the old days this was a windsurfing hot spot, and it is still great for kiteboarding now, although locals have found other beaches nearby which they often prefer. Point Moore is a large sandy beach that sticks out into the ocean; it is very exposed so gets the strongest winds. If there isn't much wind forecast head here to see if it is working. You can drive on the beach in a 4x4 here so you can set up right next to your car. There are two reefs on either side of the point; this gave a break its name of Hell's Gates; the waves are punchy and hard! On the inside of the reef, the water is flatter, and some of the local instructors teach here. Separation Point is a spot south of Geraldton that can offer some great waves when the swell is large; it's often a good place to go when Point Moore is blown out as it can be a little more sheltered. You can drive on the beach here or park just behind it. The wave is a little smoother than at Point Moore and runs a little longer too; it's a fun left hander that you don't want to miss! 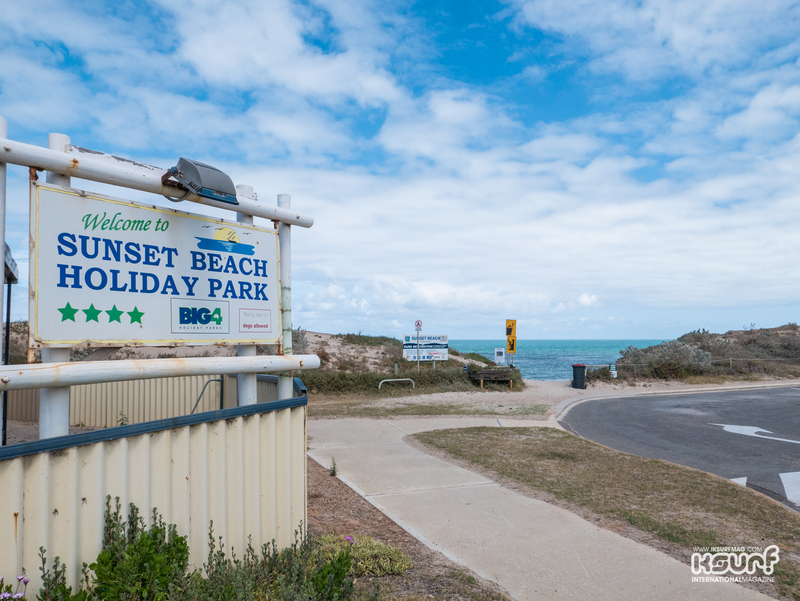 If you are staying at the excellent Sunset Beach Holiday Park then this will be your closest spot to ride, the beach can be quite small at high tide for a launch, so make sure you have someone to help you. There is a reef just offshore that offers some good waves, but the shore break can be pretty hectic if the swell is big! This is the jewel on the crown of Geraldton and the reason most people come to visit; you'll find Coronation Beach off National Route 1 as you head north, it's signposted and easy to find. As you drive down the road to the spot you'll see a lookout which shows off the majesty of the place, watch out for the spiders! There is a small camping area here, but the facilities are very basic, so most people stay at Sunset Beach and then drive up for the day as it is only about 20 minutes by car. The bay is sheltered by a reef which provides some fun waves to play on. I'm rating it as one of the best places I have ever kitesurfed in Western Australia. The left-handers run and run, and you can get lots of turns on the wave which is quite rare in this part of the world. It's a safe spot too, although it is getting more and more popular, respect the locals and keep left of the windsurfers, if you can get a smile out of any of them you are a better person than me! 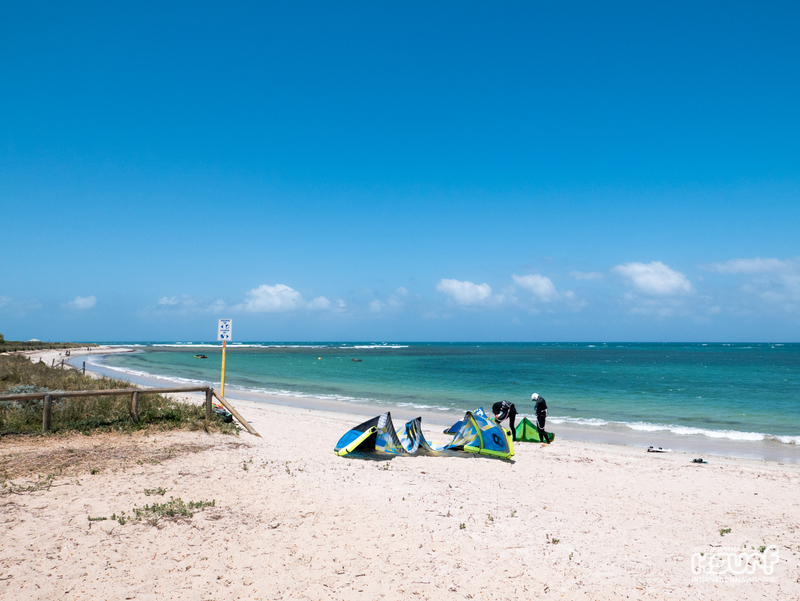 When is the Best Time to go Kitesurfing in Geraldton?